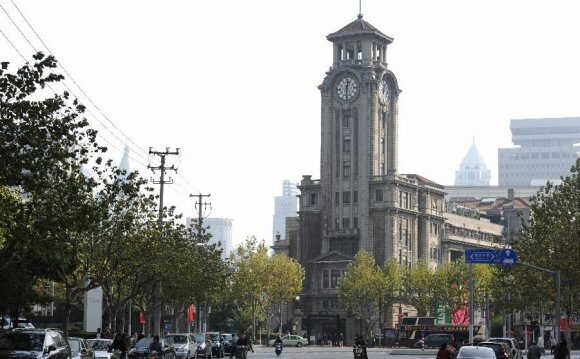 Located in LuJiaZui Financial & Trade Zone of Pudong New Area, Shanghai Oriental Art Center（SHOAC）is one of most significant cultural landmarks of Shanghai. Built jointly by Shanghai Municipal Government and Pudong New Area Government on an investment budget of 1.1 billion RMB it was designed by the award-winning French architect Paul Andreu. Its overall building area covers 40, 000 square meters; from above you will distinguish the five domes of SHOAC. The main entrance hall, the Performance Hall, the Concert Hall, the Exhibition Hall and the Opera Hall form a composition that reminisces a beautiful butterfly orchid in full bloom. In September of 2003 the owner of SHOAC launched a public tender which was eventually won by Poly Culture & Arts Co., Ltd. (it was transfered to Beijing Poly Theatre Management Co., Ltd.in June 2009).As a result a joint-venture co-operation was established between Poly Culture & Arts and Wenhui Xinmin United Press Group(it was altered to Shanghai United Media Group in January, 2014)with the Shanghai Oriental Art Center Management company being set up to be responsible for all the management and operations of SHOAC and its subsidiary facilities. Ours is one of the nation’s leading and most successful examples of theater management and systematic innovation in its practice. From the day of its formal inauguration on July 1st 2005 untill now, SHOAC has hosted many high-level performances. For example and as a deserved testimony of its impact, on the city the Berliner Philharmonic Shanghai Premiere Concert was cited as one of “2005 Shanghai Ten Major Cultural News”. No wonder SHOAC has been selected as “Shanghai Top Ten Fashion Landmarks” and praised as “The Latest High Art Release Place in Shanghai”. In March 2006, SHOAC organized a large-scale vote on “Our Ten Favorite Orchestras” and invited all ten chosen orchestras to perform in Shanghai. The vote winners were awarded the “Golden Prize of Chinese Ten Major Performances”.